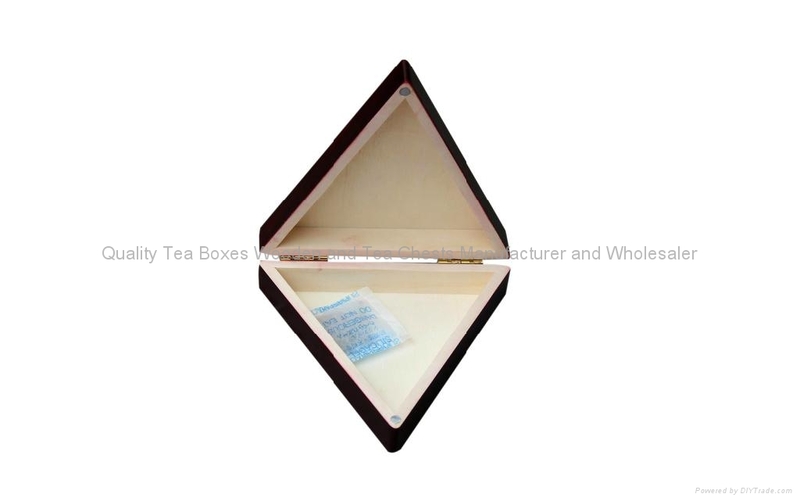 This attractive triangle wooden boxes for chocolates is handmade from solid wood. Outside is dark brown finishing and inside natural wood color to keep good protection for chocolates taste. 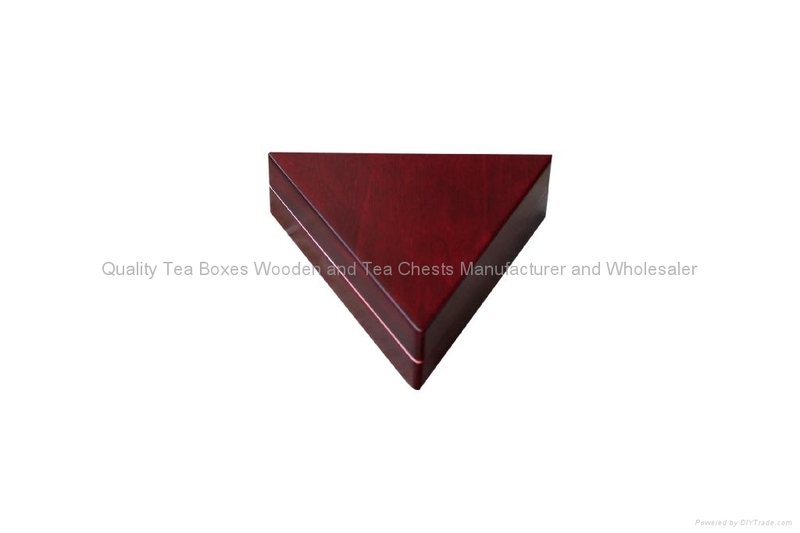 Outside the chocolate wood box, we could emboss, engrave or print customer's logo on the lid. Inside we could make wood partitions or plastic tray for chocolates cavities. All the lacquer, wood and glue is food safe for European and USA markets.